Katanga was the heart of the colonial mining industry. With the independence in mind, the core of the Katanga establishment concocted a plan to safeguard their interests. On 11 July 1960, Katanga unilaterally declared its independence. 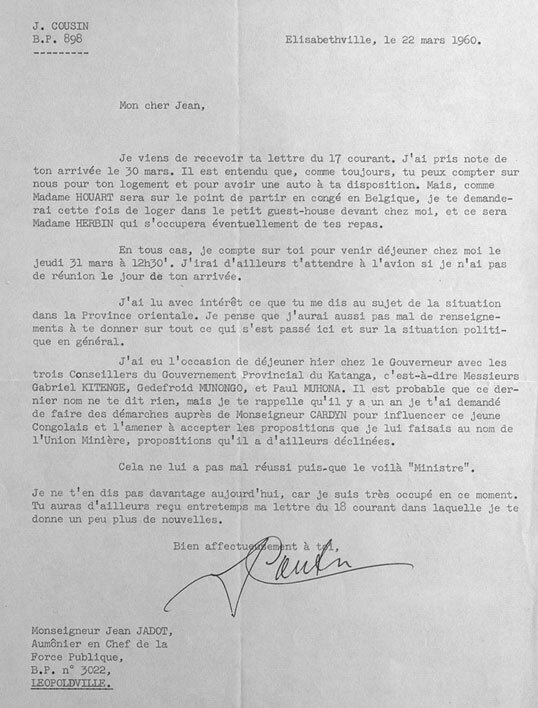 Received letter, 1960.